There is a new phenomenon in the NBA, and he goes by Linsanity, or Linsational, or Linspiration, or Linvincible, or just plain Jeremy Lin. Last week’s Eastern Conference Player of the Week, Jeremy Lin has burst onto the scene for the New York Knicks leading them to seven straight victories while averaging 24.4 points and about 9 assists over those seven games. One of his many highlights durinh this winning streak is when he hit a game winning three Tuesday night in Toronto. Not only has he led the Knicks, minus Amare Stoudemire for five games, and Carmelo Anthony for the past seven, on a seven game winning streak, he has also caught the attention of the entire nation. The President of the United States, Barack Obama is even keeping tabs on Lin. According to the White House spokesperson Obama has been watching Lin this past week and he saw him hit the game winning three versus the Raptors. 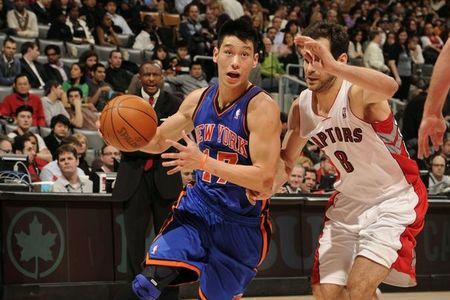 Many non-Knicks fans are even beginning to follow Lin and supporting him. “I’m more following Lin then the Knicks as a Sixers fan,” said Penn Manor junior Nick Tulli. 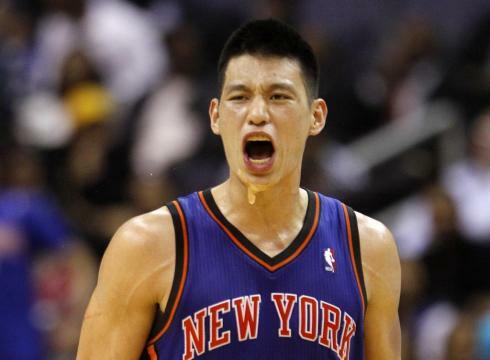 So what makes Linsanity catch the attention of the nation? Maybe it is because he was cut by two teams in his short NBA career, and never got a chance to play? Maybe it was because the Knicks were on the verge of making a colossal mistake by cutting him right before his stardom began? Or maybe it is because he is a graduate from Harvard, and who plays in the NBA from the Ivy League? “America loves the underdog story,” said Tulli. Some think this small sample of success for Lin is not enough to say he is a star yet. But consider that this is his first chance to play extended minutes in the NBA, so it’s not like he failed in the NBA before, and even the greatest three point shooter in the NBA is believing in him. “OK. I GIVE IN!!!!!!! ITS LEGIT!!!!!!! WOW!!!!!! !,” was Reggie Miller’s Tweet after Lin hit the game winning three in Toronto. With Lin’s new found success, which isn’t that new at all, college and NBA coaches alike are all asking the same question, why didn’t we see this coming? Why didn’t we see this guy had talent? Why didn’t the California universities’ see his talent and offer the local kid a scholarship when he led Palo Alto High School to a 32-1 record and a state championship? Why didn’t NBA coaches and scouts see his talent when he led Harvard to become an “up and coming” program and dropped 30 points against Kemba Walker and Connecticut in 2009? People are losing sleep asking themselves these questions. No matter though Lin is with the Knicks, and he is leading them back to relevance in the Eastern Conference playoff picture, and the national spotlight.